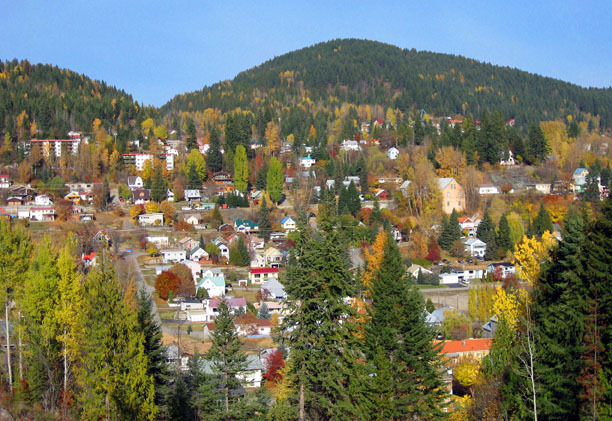 Elevated beauty, unassuming charm and a golden past characterize Rossland. From mountain biking and hiking on one of the numerous trails maintained and managed by the KCTS, to golfing at 18 hole Redstone Golf Resort, to skiing and boarding at Red Mountain Resort - Western Canada's oldest ski hill, this truly is the best place to live, work and play, and has become an all-season tourist destination. Rossland is located approximately halfway between Vancouver and Calgary on Highway 3B, only 6 km north of the U.S. border. Nestled between the Monashee and Selkirk Mountain ranges in the heart of the West Kootenays, Rossland boasts a glowing reputation as a highly desirable location in which to recreate and plant roots. Money and Banking: The Nelson and District Credit Union at 2071 Columbia Ave has a 24-hour ATM and currency exchange. Banking hours are Monday to Friday 10 AM to 5 PM. Ferraro Foods also has an ATM. Almost all shops, restaurants and accommodation accept credit cards. 5% GST and 7% PST taxes are applicable to most goods and services purchased in British Columbia, regardless of whether the buyer is a resident or visitor to Canada - this is typically added to the price. Camping: Lions Campground at 932 Black Bear Drive, is open May to October. The Seven Summits trail draws riders from across the globe to attempt this epic ride, and most look out across the mountain skyline and wonder if there are other world class rides close by. Fortunately, Rossland riding is so much more than the 7 Summits. We are blessed with a lifetime of incredible riding nearby, with several trails deserving a spot on anyone's bucket list. Following are some brief recommendations to some of the better riding destinations. Hall Mtn/Grassy Top/Noisy Creek trails - Gorgeous alpine ridge ride to 6323 ft Hall Mtn then super flowy descent to Sullivan Lake. Kettle Crest Trails - Between Republic and Kettle Falls lies 5575 ft Sherman Pass. Quality circuits or 'out and backs' exist on both sides of Hwy 20. Abercrombie Mountain - A circular loop trail climbs to the 7308 ft summit before descending to trailhead and campground.